It’s that time of year again…Autumn! When the leaves start falling and the weather gets crisp, my mind always goes to those wonderfully festive orange-hued gourds that come in so many shapes and sizes: Pumpkins! 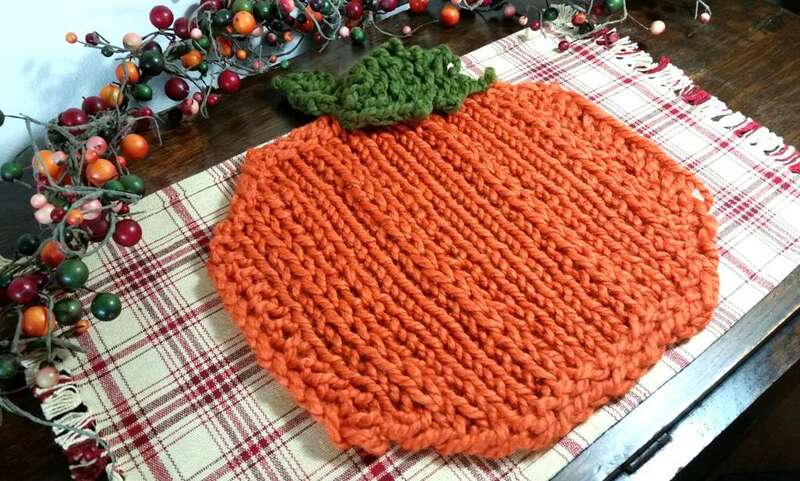 Autumn just couldn’t be celebrated without displaying pumpkins in some way, which is why it’s the perfect time to introduce you to my newest project: Pumpkin Patch Placemats! These beauties are worked up on the Zippy Loom, so they’re super fast to complete. You’ll have two pumpkin shapes to choose from; Version One as viewed from the top, and Version Two as viewed from the side. 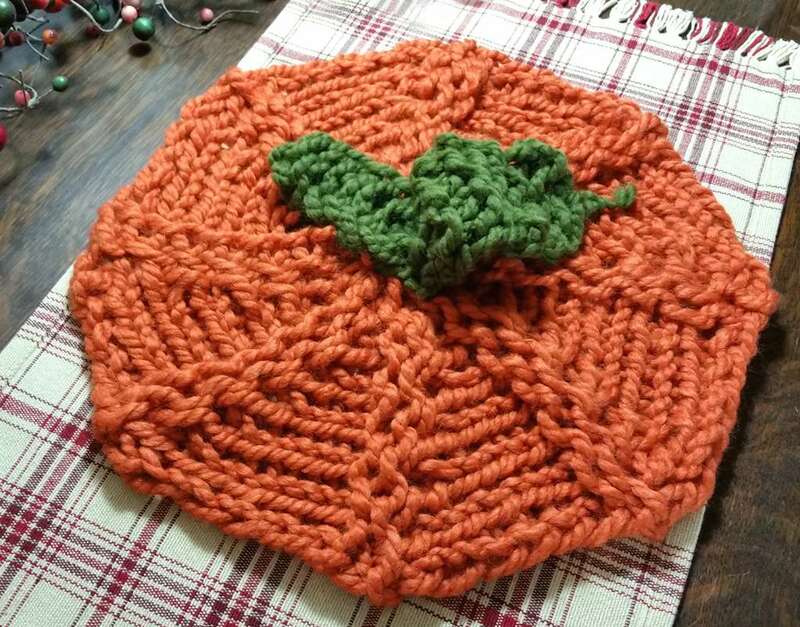 Version One will be a wonderful decorative accent at the center of the table; or make two of them, stitch back to back, add a little stuffing and you’ve got a pumpkin pillow! 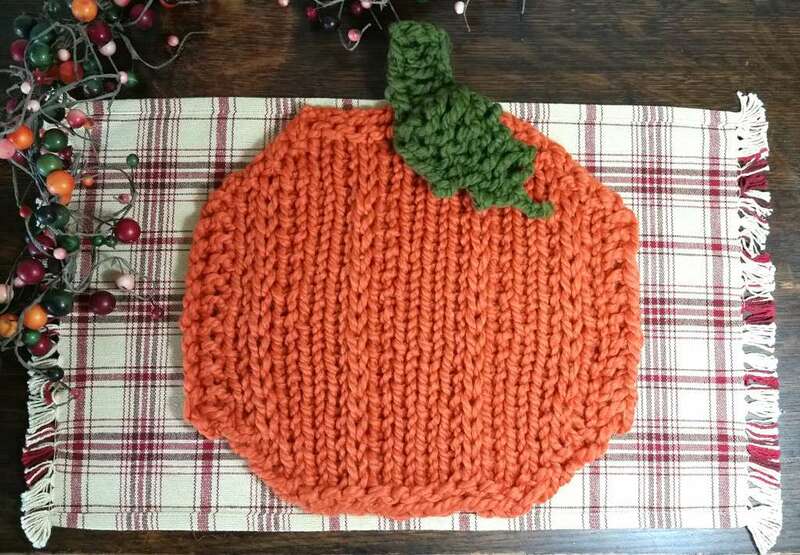 Version Two will be perfect for setting a festive fall table. 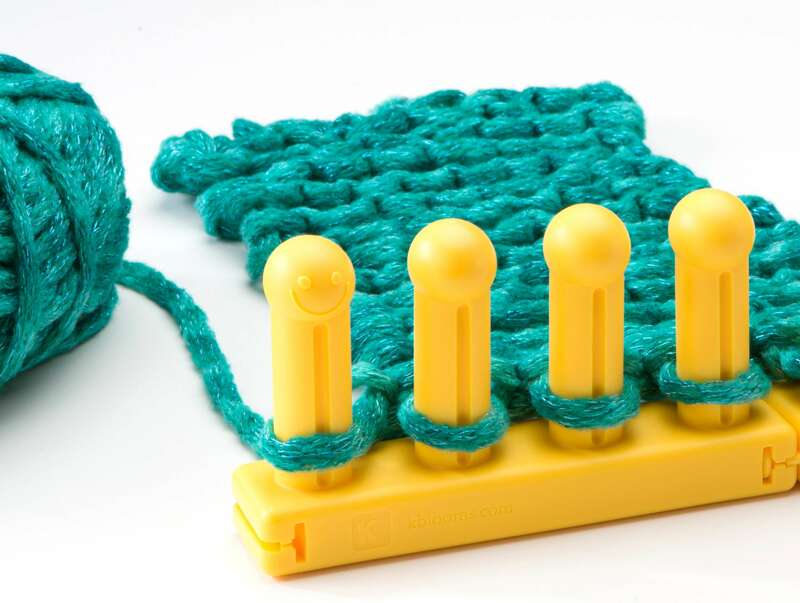 Knitting loom: 2-5 Zippy Looms and connectors (2 looms for Version One, 5 for Version Two). Notions: loom tool, 6.5mm crochet hook (for cast on and help with possible missed stitches, etc), scissors, yarn needle, row counter. 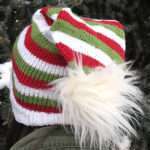 Skills Needed: U-Stitch, E-wrap, Purl, Slip, Knit 2 Together, Slip Slip Knit, Wrap & Turn, Half Hitch CO (or CO of your choice), and Basic BO. As this is working with very large pegs, knit with a snug (yet not too tight) tension throughout. 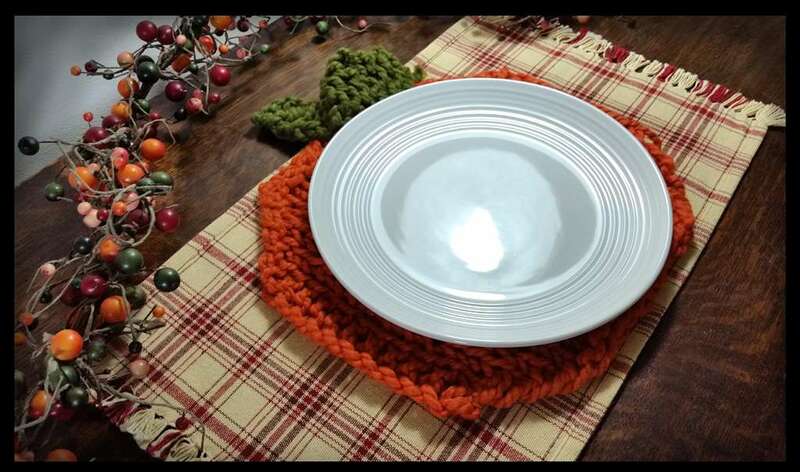 Using the U-stitch as knits helps achieve a fabric that is not too holey for your finished placemats. A chart is provided as a visual aid in creating Version Two pumpkin. Step by step instructions are also provided. Connect two Zippy looms together for a total of 8 pegs. CO to all 8 pegs. You will be creating a series of 8 short row wedges. Step 1: S1, K1, W&T peg 3. Step 2: K2 back to peg 1. Step 3: S1, K2 (KO 2 over 1 on peg with 2 loops), W&T peg 4. Step 4: K3 back to peg 1. Step 5: S1, K3 (KO 2 over 1 on peg with 2 loops), W&T peg 5. Step 6: K4 back to peg 1. Step 7: S1, K4 (KO 2 over 1 on peg with 2 loops), W&T peg 6. Step 8: K5 back to peg 1. Step 9: S1, K5 (KO 2 over 1 on peg with 2 loops), W&T peg 7. Step 10: K6 back to peg 1. Step 11: S1, K6 (KO 2 over 1 on peg with 2 loops), W&T peg 8. Step 12: K7 back to peg 1. Step 13: S1, P7 (on 8th peg purl 2 sts as one). Step 14: S1, P7 back to peg 1. Repeat Steps 1-14 seven more times to create a total of 8 wedges– except on Step 14 of 8th wedge. Trim to 15” and pull through last loop. 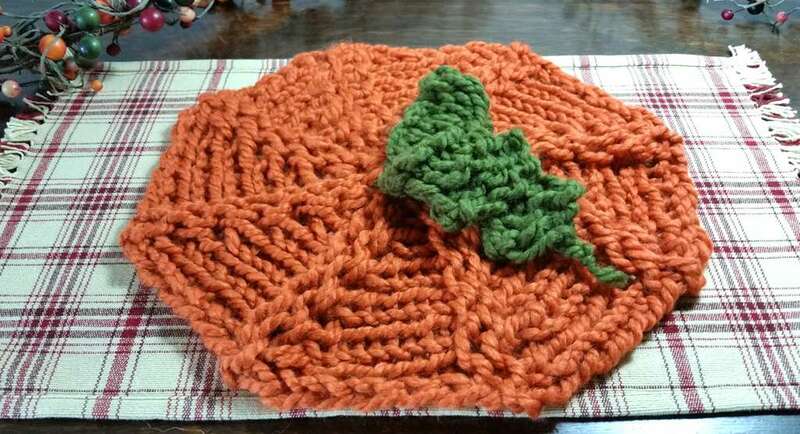 Using yarn tail, seam up BO and CO edges toward the center of pumpkin. 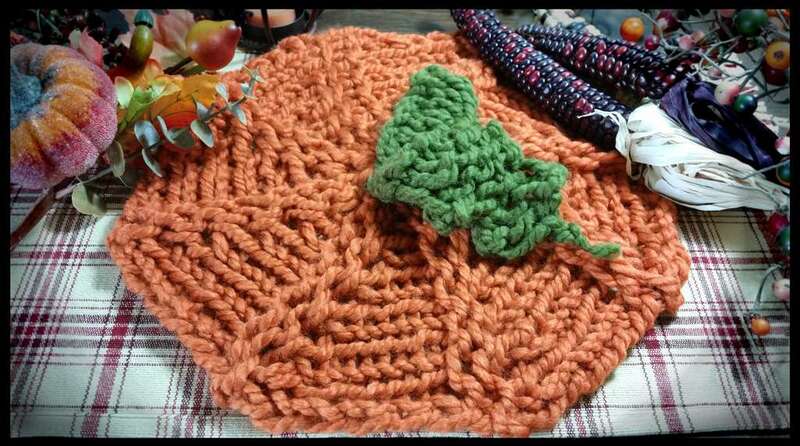 Gather the loose stitches at the inside of the pumpkin and cinch tightly. Knot and trim. To achieve a flat and uniform shape, block lightly. Proceed to Stem and Leaf instructions. *Note: Chart is provided as a visual aid in creating this pumpkin. Step by step instructions are also provided below. Connect five Zippy looms together for a total of 20 pegs. CO to pegs 15 to 5 in a left to right direction. Row 2: HHCO to peg 16, slip this peg, P10, K1. Row 3: HHCO to peg 4, slip this peg, K12. Row 4: HHCO to peg 17, slip this peg, P1, K2, S1, K4, S1, K2, P1, K1. Row 5: HHCO to peg 3, slip this peg, K14. Row 6: HHCO to peg 18, slip this peg, P1, K3, S1, K4, S1, K3, P1, K1. Row 7: HHCO to peg 2, slip this peg, K16. Row 8: HHCO to peg 19, slip this peg, P1, S1, K3, S1, K4, S1, K3, S1, P1, K1. Row 9: HHCO to peg 1, slip this peg, K18. Row 10: HHCO to peg 20, slip this peg, P1, K1, S1, K3, S1, K4, S1, K3, S1, K1, P1, K1. Rows 12-29: Repeat Rows 10 & 11. Row 30: (Prepare for SSK at end of row by moving the loop on peg 1 to peg 2), S1, P1, K1, S1, K3, S1, K4, S1, K3, S1, P1, SSK (KO 2 loops as 1 on peg 2). 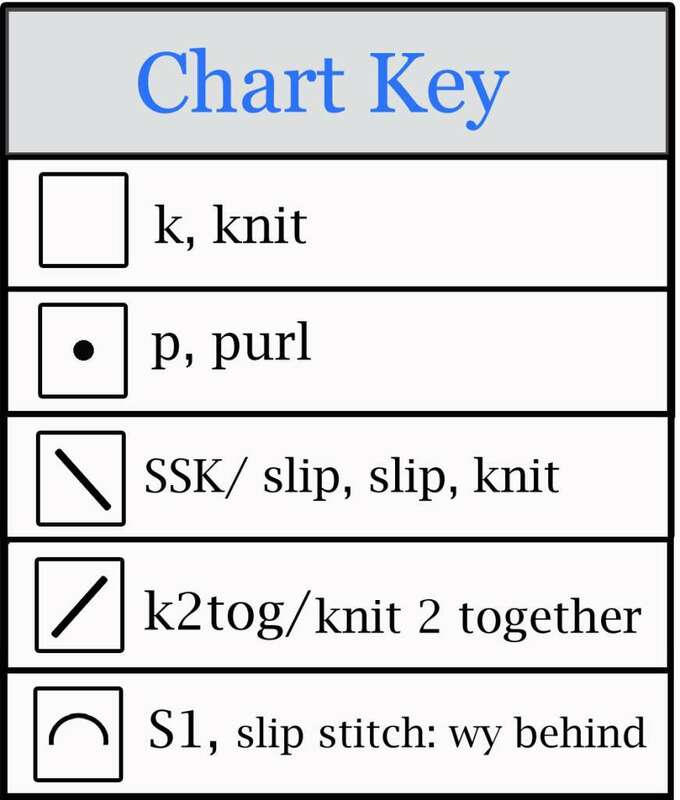 Row 31: (Prepare for K2tog at end of row by moving the loop on peg 20 to peg 19), S1, K16, K2tog (KO 2 loops as 1 on peg 19). Row 32: S1, P1, S1, K3, S1, K4, S1, K3, P1, SSK (KO 2 loops as 1 on peg 3). Row 33: S1, K14, K2tog (KO 2 loops as 1 on peg 18). Row 34: S1, P1, K3, S1, K4, S1, K2, P1, SSK (KO 2 loops as 1 on peg 4). Row 35: S1, K12, K2tog (KO 2 loops as 1 on peg 17). Row 36: S1, P1, K2, S1, K4, S1, K1, P1, SSK (KO 2 loops as 1 on peg 5). Row 37: S1, K10, K2tog (KO 2 loops as 1 on peg 16). Row 38: S1, P9, SSK (KO 2 loops as 1 on peg 6). 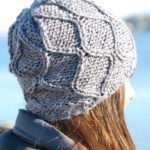 To create a flat and more uniform shape, manually tighten loose loops of CO, and block lightly. CO to 3 pegs of one Zippy loom, leaving a 10” tail for seaming later. BBO all 3 sts. Use CO tail to seam onto desired place on pumpkin. Weave in ends and trim. Connect two Zippy looms together for a total of 8 pegs. CO to 5 pegs, leaving a 10” tail for seaming later. Row 7: Working on only peg 1, EW and KO twice, K4 (pegs 2-5). Row 8: Working on only peg 5, EW and KO twice, P3, K1 (pegs 4-1). 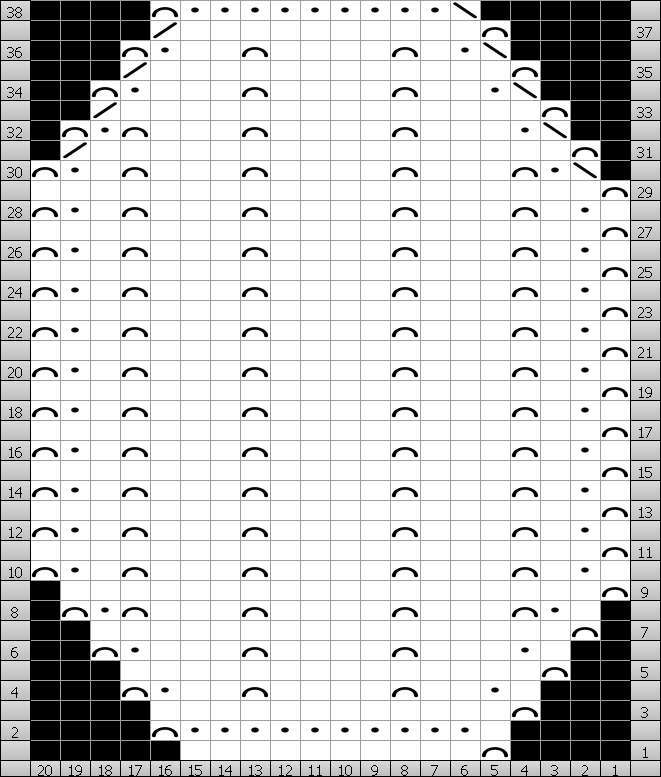 Row 9: Move both end loops in one peg. K3 (KO 2 loops as 1 on each end). Row 10: S1, P1, K1. Row 11: Working only on peg 1, EW and KO twice, K2 (pegs 2 & 3). Row 12: Working only on peg 3, EW and KO twice, P1, K1 (pegs 2 & 1). Row 13: Move both end loops to center peg, K1 (KO 3 loops as 1). EW & KO 3 times more. 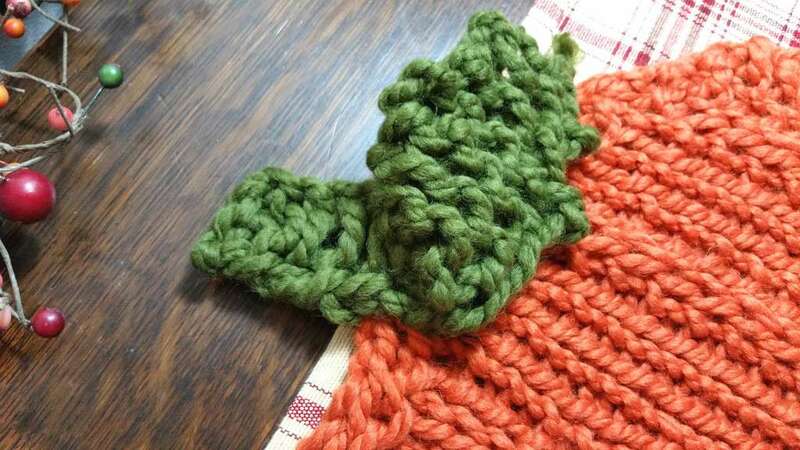 Trim yarn and pull through loop. Cinch. Work 2 overhand knots at the last st and trim at one inch from knot. To shape leaf, pull the places where extra EW’s were worked to create little points. Using the CO tail, thread through CO sts and gather in to create a rounded leave base. 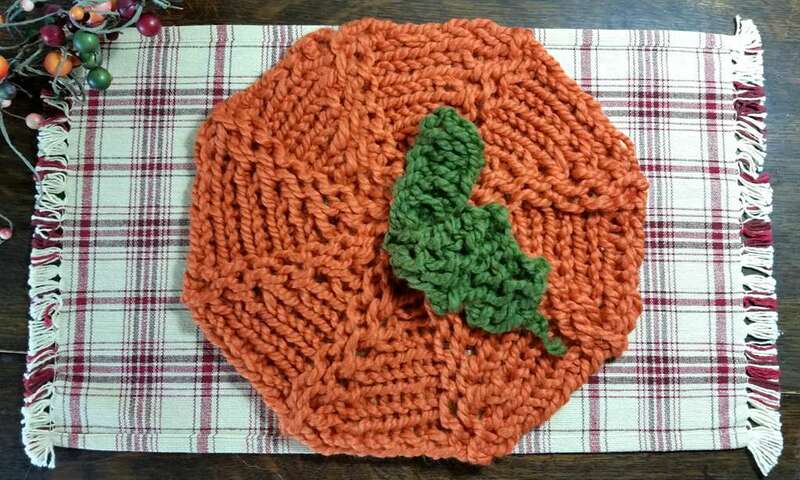 Stitch leaf onto place on pumpkin. 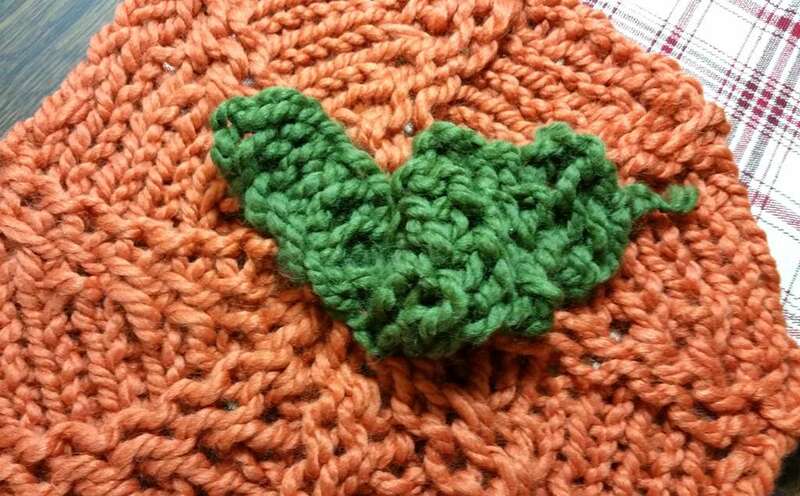 The sample pumpkins show the leaf stitched to the pumpkin only at the base, which allows for more 3-D positioning.